With the belief that creativity drives communities, The Monarch provides a collaborative environment where artists, creative businesses and makers of all types can connect, inspire and create together in the heart of Ogden’s Nine Rails Creative District. We offer 25 studio memberships in our one of a kind historic structure, which also encompasses restaurants, multiple event venues and curated exhibition space. Housed in an industrial parking garage from the 1920s, The Monarch’s historic architecture is balanced with modern design features to provide a unique urban backdrop for your creative studio, cozy dinner date or exclusive event. Join us at The Monarch to connect with your creative kaleidoscope! We open June 2019 and studio memberships are currently available. Monarch in Moda, the mural on the Upper Deck, is what gave our building its name and sparked our identity as “The Monarch.” This artwork is part of the Migrating Mural project, a series of public artworks by Ink Dwell that highlight wildlife along migration corridors it shares with people. 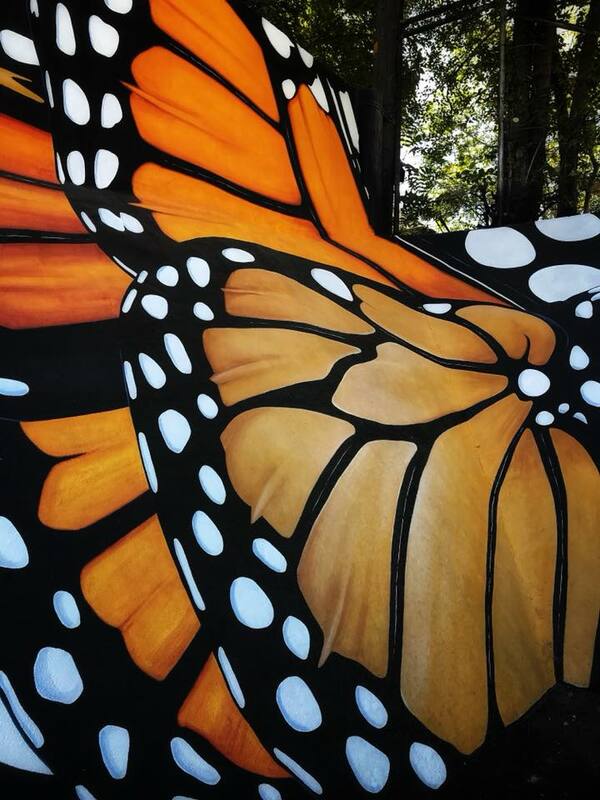 The subject of this particular multilayer Migrating Mural campaign is the monarch butterfly, famous for its brilliant coloring, spectacular migration patterns and unique and transformational life cycle. Monarch in Moda is the sixth Monarch Migrating Mural, with other works in Arkansas, Florida, and California. 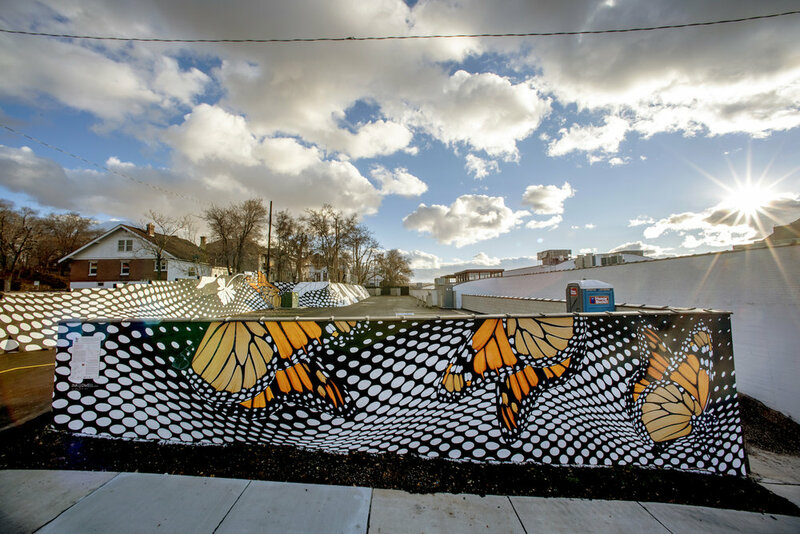 This mural is one of three Monarch Migrating Murals in Ogden and represents a community-wide effort to promote public art in Northern Utah and steward-ship of the natural world. Six banners depicting the monarch’s life cycle hang seasonally at the Ogden Nature Center and another large mural can be found at Weber State University’s Lindquist College of Arts and Humanities. Monarch in Moda was the first project of the O1ARTS WALLS initiative, which is dedicated to uniting artists and neighborhoods through a collaborative process, to create art that transforms public spaces and individual lives.